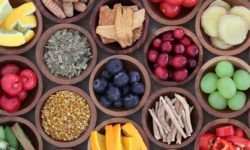 Homeopathy and Nutritional medicine are very individualized therapies which requires a comprehensive understanding of the client’s state of health, habits, physical and emotional well-being. For any new clients of Dr. Sonal, the initial consultation is for around 40 minutes. Any follow up consultations will be approximately 20 minutes. In-person consultations are preferred especially for the first visit and follow up. Later Follow-up sessions, especially for our clients who are not in Hong Kong, can be conducted by prior appointment through Skype/Facetime or Phone Consultation. For Speech therapy with our experienced bilingual Speech Therapists (Cantonese/English) sessions are for 1 hour each, by prior appointment. Consultation can be booked directly through our reception team by calling us up at +(852) 3568 3135 (10:00a.m.- 6:00pm. Mon-Fri and 9-12pm.Sat Hong Kong Time) or by emailing us. For further enquires or appointments please fill out the Contact us form and we will get back to you within 3 working days. Our consultations are served by prior appointments only. For Insurance coverage of Homeopathic treatment please check with your insurance provider. Please check beforehand with your insurance company if a referral from your Primary Healthcare Physician is required.For further information please check. Consultants at Maya encourage open communication with the clients Primary Health-care Provider, Pediatrician, Psychologist, Occupational Therapist, Speech Therapist , ABA, VBA Therapists, Endocrinologist, Gynaecologist and other specialists. We recognize and respect the need for team-work and do refer to other dedicated and reputable professional disciplines when needed. 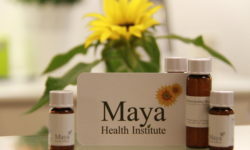 Maya Health Institute provides treatment for a wide range of health conditions with a holistic approach including natural treatment with homeopathy, nutritional advice and counselling.